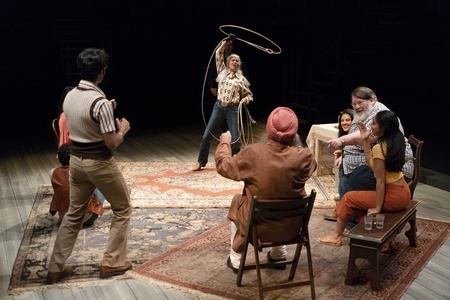 The Annual Shaw Festival in Ontario seems to be diversifying the work that it produces, or at the very least, adding a bit of South Asia to the mix. 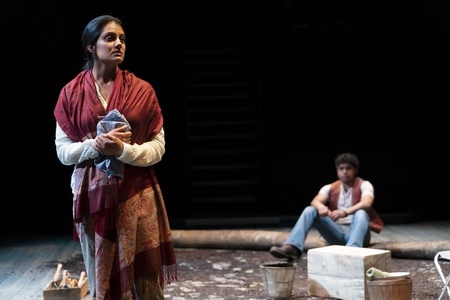 In 2015, Harveen Sandhu added a refreshing touch to the classic role of Eliza Doolittle in Pygmalion, and in 2016 Ravi Jain graced the Shaw stage with his creative and thought-provoking direction of The Adventures of the Black Girl and her Search for God – granting him the title of Ontario’s new favorite director by the Toronto Star. Jain is currently casting for the Mahabharata, one of the great Sanskrit epic poems and the longest to exist, which will be produced in 2019. Additionally, he directed a brave play written by actor and playwright Sarena Parmar called The Orchard (After Chekhov). This particular play is a landmark addition to the Shaw Festival. 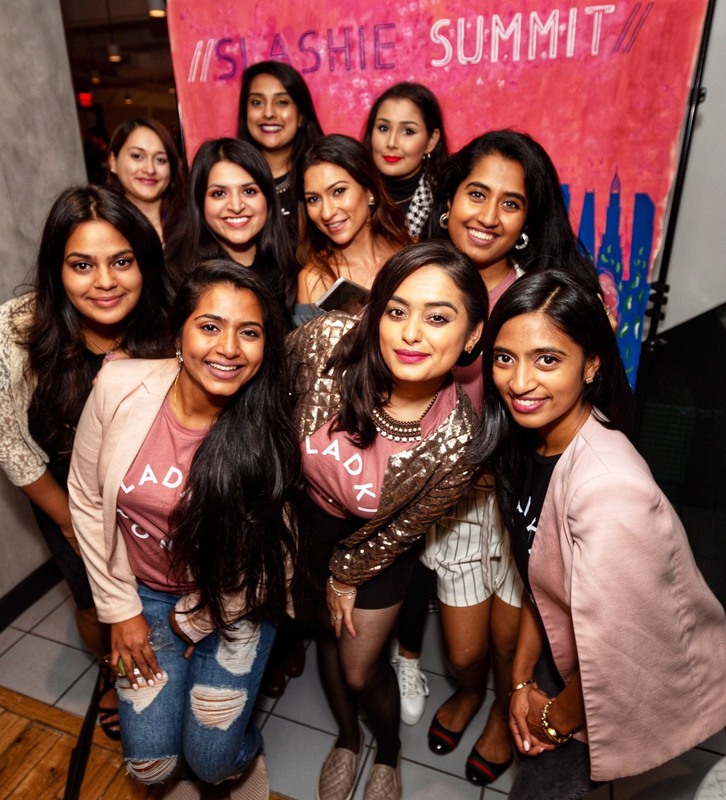 Not only is it a world premiere, but it is also the first time that a South Asian playwright—who just so happens to be female—has had work produced by Shaw. It is incredible that we see Parmar play a double role in this first-of-its-kind production – as both playwright and protagonist. So what is it about this story that is so brave? Based on Parmar’s own family history and upbringing on a fruit orchard in the Okanagan Valley in British Columbia, this play juxtaposes the classical Russian story of a family who must cut down their beloved cherry orchard at the turn of the 20th century with the story of a Punjabi family in 1970s Okanagan who are forced to say goodbye to their own orchard. And so begins the saga of assimilation by fruit. 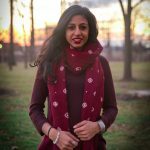 “In 2009 my family decided to cut down our family orchard… We were suddenly more Canadian, more assimilated, than ever,” she said. The play also reflects what so many Canadians have often felt (and continue to feel), like outsiders. Through a reimagining of “the archetypes of Canadian history and rural Canada, the South Asian Farmer, the Japanese Cowboy, the Indigenous Rancher” as Parmar described, we all start to see ourselves, in one way or another, as a part of the complex and evolving Canadian story. Parmar’s characters are mirrors for our own resilient communities during an uncertain – and frankly, unjust – political climate. 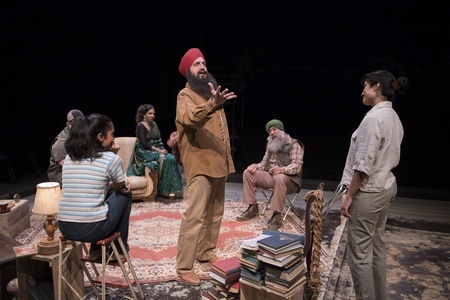 Peter, the scholar, who is played by Shawn Ahmed, serves to remind us of this injustice, in Canada and in so many places – of “the carefully constructed systems of power that favor some citizens over others” in Parmar’s own words. The subtleties in Parmar’s writing are complemented beautifully by Jain’s direction; the set design facilitates emotional connections with home, earth, and family. The chemistry developed between family members on stage brings to life the personal connections that so many of us have to this story of land and loss that spans borders and generations. This bold contemporary work that has so beautifully woven together themes of immigration, belonging, multiculturalism, land, and decolonization, seems to be attracting old and new audiences alike, but are these audiences walking out of the theatre reflecting on the mastery of this work? Only time will tell. My feeling, though, is that Parmar’s strong voice needs to be echoed by others like her in order for traditional Shaw audiences to really take notice. While I felt deep respect for the meaningful land acknowledgment that was spoken before that show began and I noticed the play’s deliberate references to the plight of Japanese and Indigenous communities in the Okanagan Valley and across Canada, I’m not sure that understanding was felt throughout the room. My hope is that just as Parmar and Jain have been bold and brave with writing and directing this production, the Shaw Festival continues to champion inclusive leadership in the Ontario classical theatre scene. Above all, perhaps one of the most significant messages of this play, at this time, is the profound importance of artistic representation. Indeed, to have an indigenous woman, Jani Lauzon, on stage speaking her own language was powerful, to hear Krystal Kiran who plays Barminder quoting from the Guru Granth Sahib and engaging in prayer at the Shaw Festival was an incredible feeling, to see the ritual of chai portrayed with such authenticity brought warmth to my heart. As a Punjabi-Canadian artist educator, writer and critical scholar, I felt so at home watching something at once new and familiar. To her, and to all others involved in this production, I nod my head and say thank you for bringing our communities’ voices on stage. I sincerely look forward to a long, positive journey ahead. 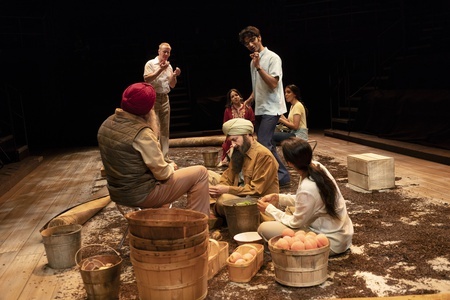 The Orchard (After Chekhov) ran at the Shaw Festival in Niagara-on-the-Lake from June 7-September 1. 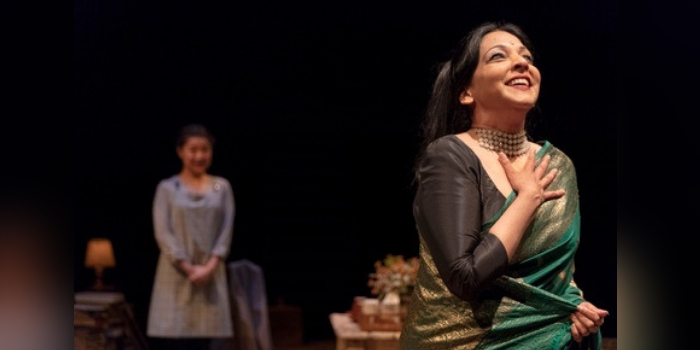 Look out for more South Asian work at the Shaw Festival in the upcoming season! Previous article‘Thugs of Hindostan’ Trailer: Remind You of Any Hollywood Swashbucklers?